Purple Essentials - Natural Skin Care for a pure and simple life! 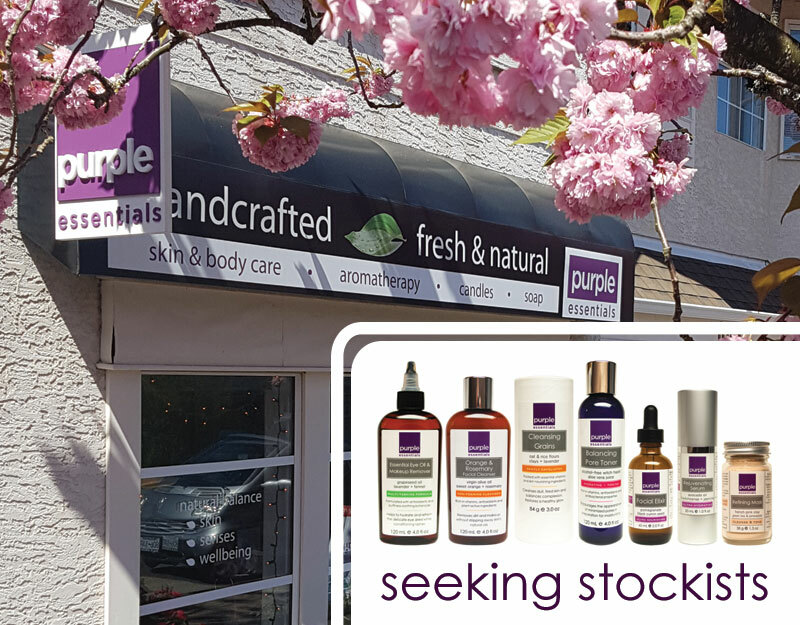 : Purple Essentials is actively seeking stockists on Vancouver Island - Let's Connect! All Natural + Plant-Based Skin Care to Naturally Nurture the Skin, Senses & Wellbeing ... we've been perfecting it for 20+ years - let's share it with your clients! Purple Essentials is actively seeking stockists to retail our premium, small-batched products ... exclusive areas are available up and down the island. If you would like to discuss opportunities, or arrange for a sample package of our bestselling complexion care recipes ... let's connect!! Click below and we'll reach out asap ... Live pure and simple - Live Purple!